Want to try glamping in one of the most beautiful destinations in Western Australia? 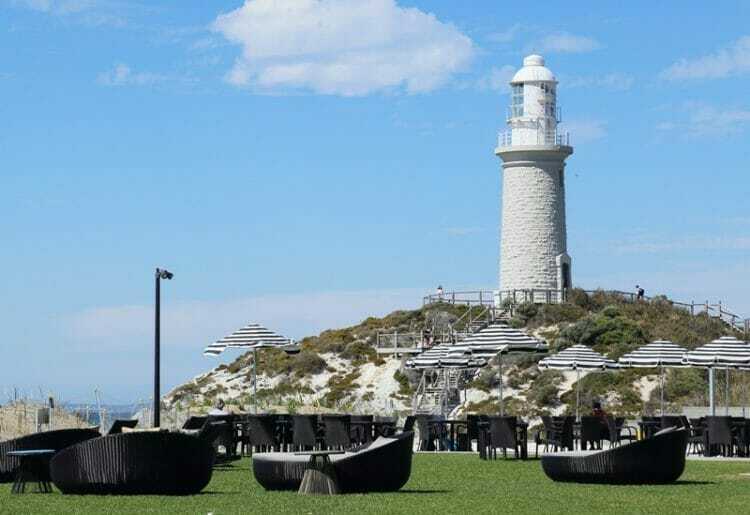 Read on for my Discovery Rottnest Island review! Rottnest Island has quickly become one of the most popular tourist destinations in Western Australia. Not only is it home to thousands of adorable little marsupials called quokkas, it also offers pristine beaches, an array of activities for adventure addicts, world-class snorkeling and diving and much more. The vast majority of Rottnest Island visitors head over on a ferry from Perth for a quick day trip – in fact, when we first traveled to Rottnest Island in 2016 we had wanted to stay overnight, but weren’t particularly enticed by any of the fairly run-down accommodation options on the island. 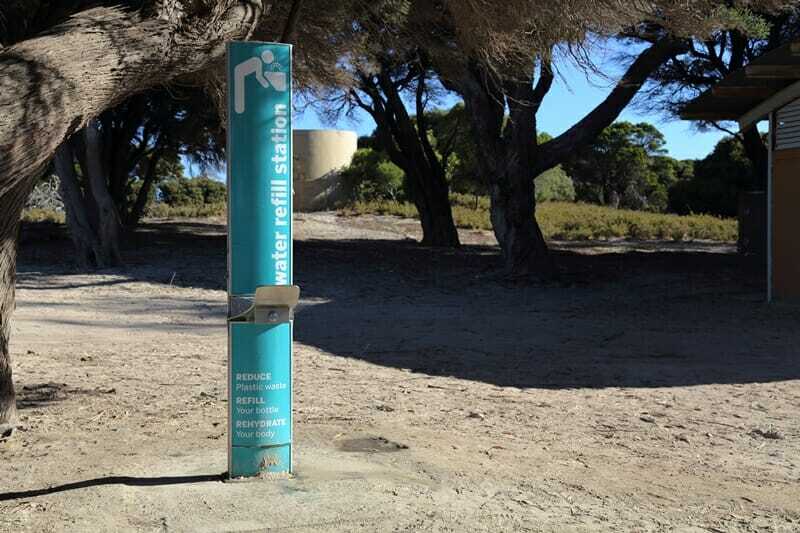 Luckily, there is now a new eco-resort that enables visitors to spend even more time on Rottnest Island without having to rush back to Perth after a day trip. 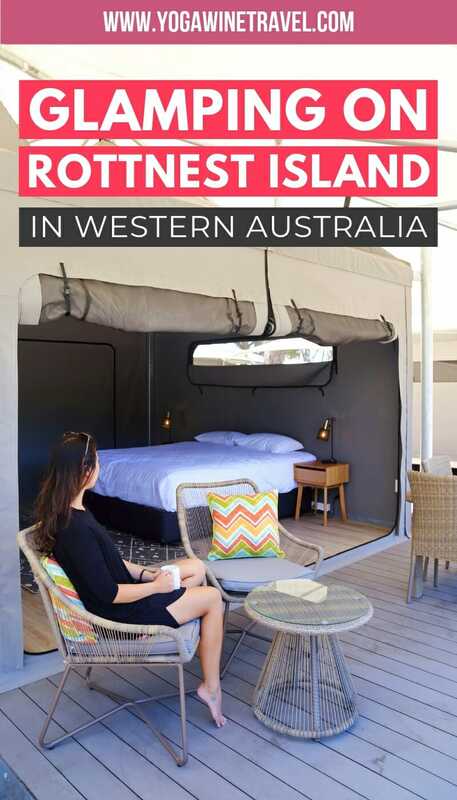 I’ve always regretted not exploring more of Rottnest Island, so naturally leaped at the opportunity to experience glamping at the new Discovery Rottnest Island eco-resort. 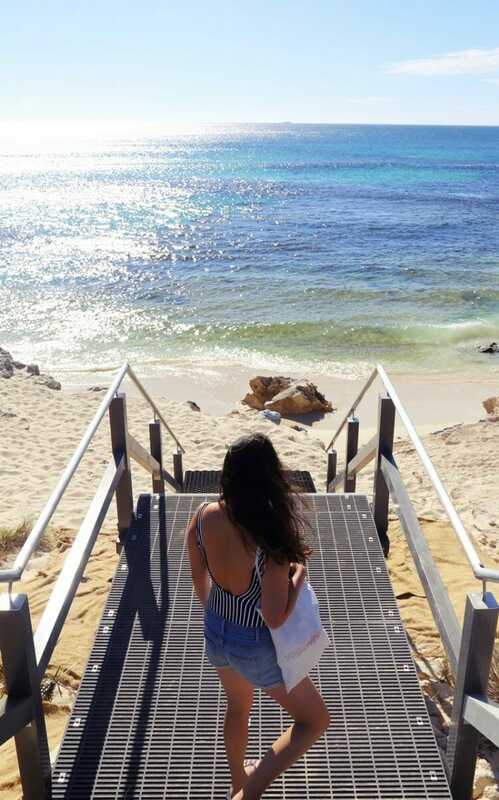 If you are planning a trip to Rottnest Island and want to try glamping in one of the most beautiful destinations in Western Australia, read on for my Discovery Rottnest Island review! 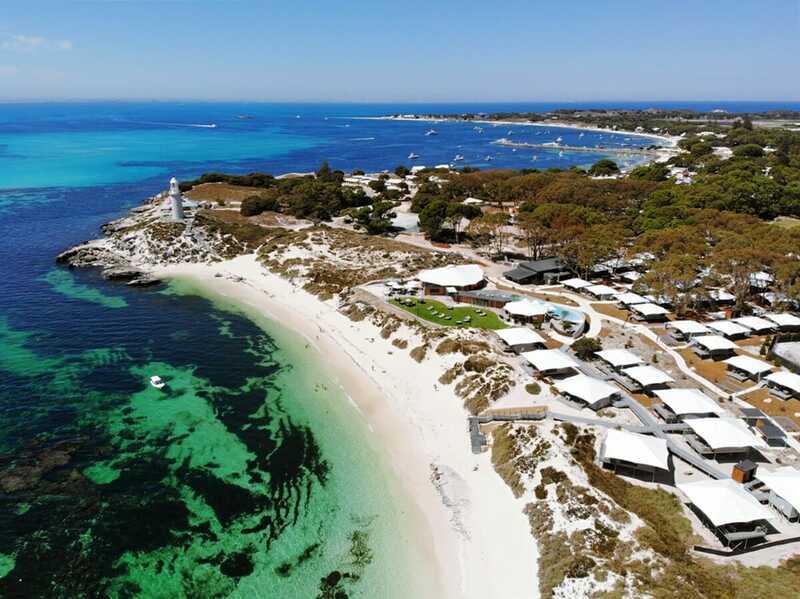 Discovery Rottnest Island opened in March 2019 and is the only accommodation option that offers glamping on Rottnest Island. 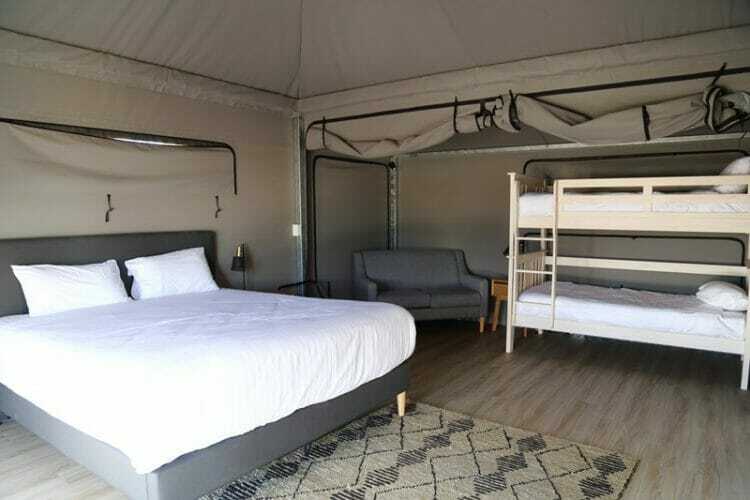 The eco-resort offers 83 tents across a number of categories from the basic standard tent all the way up to the extremely luxurious deluxe dune tents with ocean views. 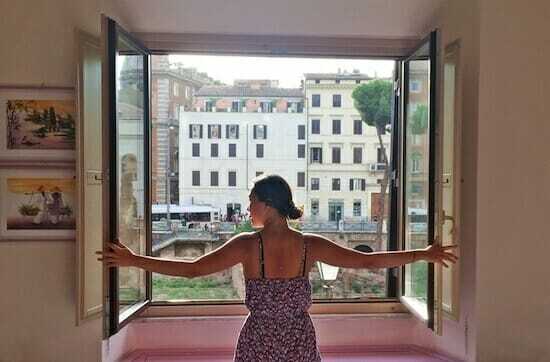 The rooms range from 270 square feet all the way up to 600 square feet. Families traveling with children to Rottnest Island will love the superior family tent complete with a bunk bed for the little ones. We stayed in a spacious superior couple’s tent complete with a king-sized bed, ensuite bathroom with a shower, private outdoor deck and small kitchenette. The canvas tents can be opened up for when you want to sit on your deck and snack on some fresh fruit, or closed when you want some privacy in the evenings. Though there is no air-conditioning unit, you’ll find that the ceiling fan is great for circulating air during the day, and the evenings are cold enough that you won’t need A/C. I’ve never truly been a fan of camping, mainly because I appreciate creature comforts like privacy, constant hot water and proper toilets. 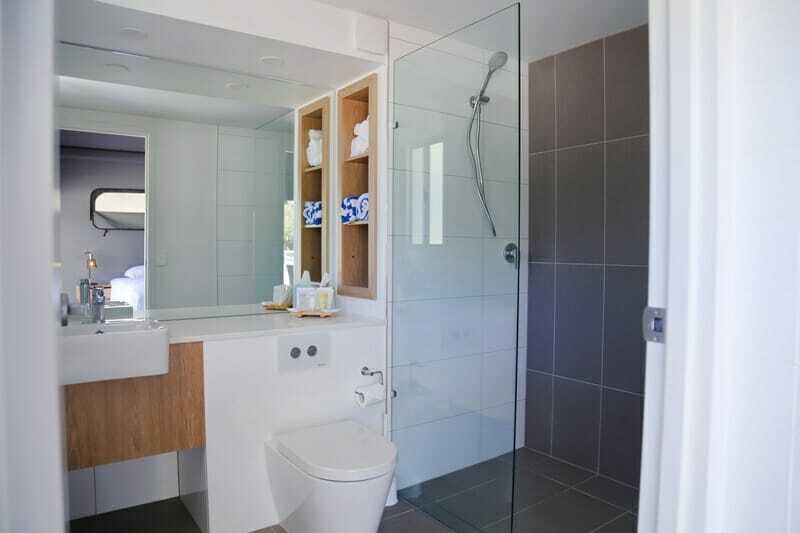 So imagine my delight when I walked into this bathroom at Discovery Rottnest Island – after an entire day of cycling around the island, laying in the dirt to take selfies with quokkas and swimming in the ocean, coming home to this beautiful shower with glorious hot water was the cherry on the cake. The kitchenette is basic but more than sufficient for a relaxing beach getaway – there is a small fridge, microwave, sink, cutlery, glasses, dishes and bowls. For those wanting to self-cater, there are also a number of communal barbecue grills around the property that guests can use to cook meals. I recommend picking up a bottle of wine (or two) from the local bottle shop and having a drink on your deck! 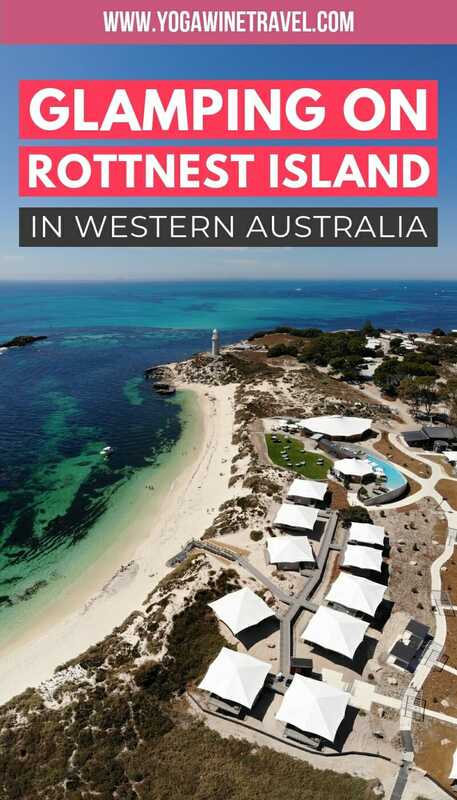 As the first new development on Rottnest Island in almost 3 decades, Discovery Rottnest Island has pledged to minimize its environmental impact by relying on the island’s eco-accredited energy, water and waste resources, uses sustainable materials for its glamping tents and is carrying out a re-vegetation plan for its grounds. You can help them out by bringing your own water bottle (there are also refilling stations all over the island) and being mindful of your water usage in the bathroom. 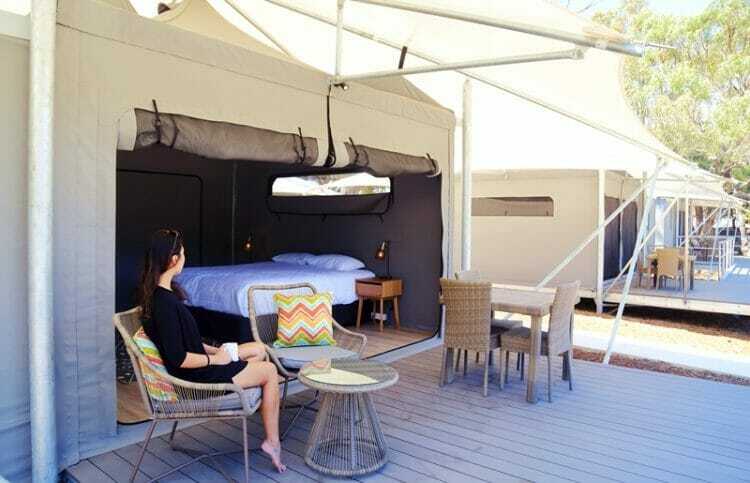 Ready to experience low-impact Rottnest Island glamping? Click here to check current rates and availability. 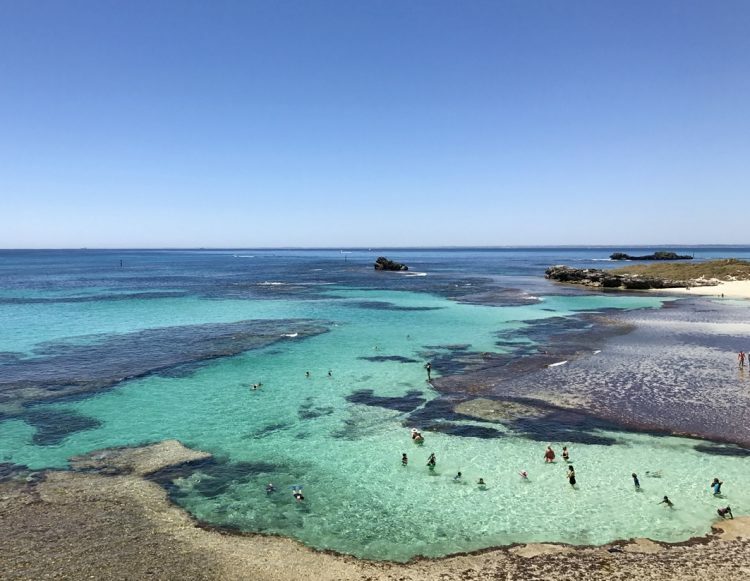 Though there are a plethora of things to do on Rottnest Island, you technically could stay within a 200-metre radius of Discovery Rottnest Island and be perfectly happy. It could not be in a better location if it tried – on its left is the picturesque Basin swimming and snorkeling beach, and directly in front is the white sand Pinky’s Beach. 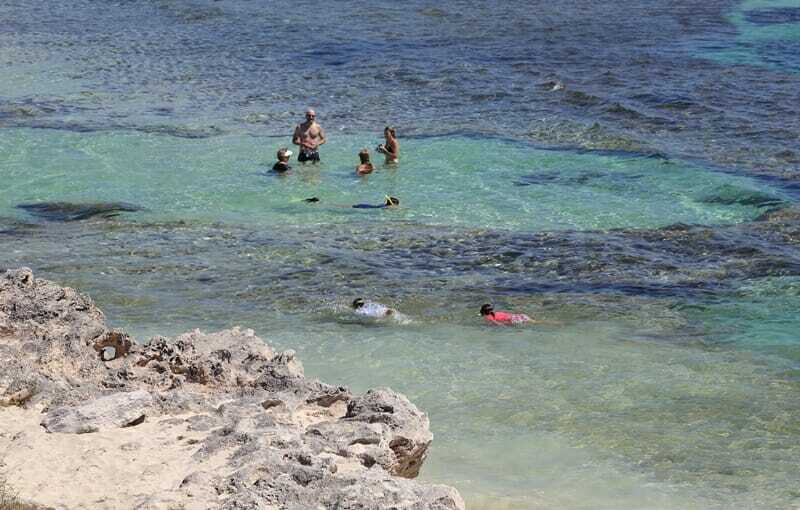 There is direct access to both beaches from Discovery Rottnest Island – just bring a beach towel and you’re set! 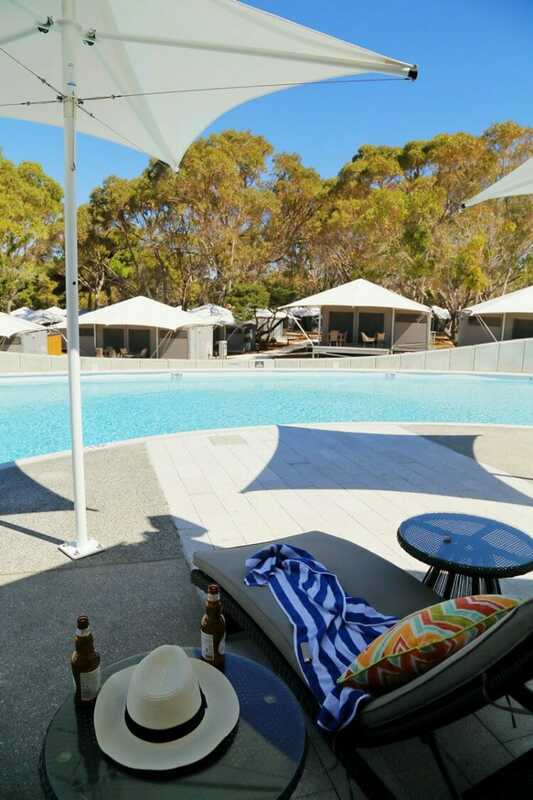 For those days where the water is just a tad too cold to swim in head to Discovery Rottnest Island’s private pool and pool bar. The guest-only pool is open during daylight hours and shuts after the sun sets. Once that happens, mosey over to Pinky’s Restaurant and Beach Club where you can try their locally-inspired dishes and cocktails, as well as a broad selection of the the best wines from the Margaret River region. Visiting Perth? 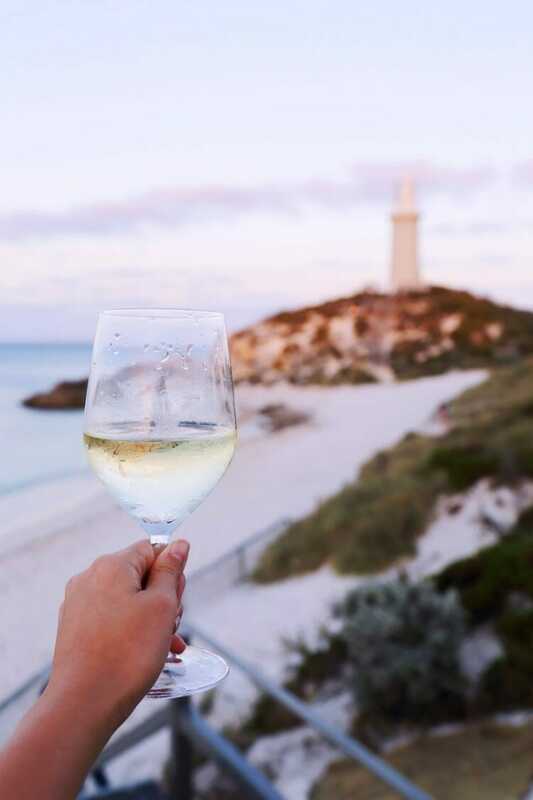 Make sure you also venture to the Margaret River region for world-class wine and beautiful, untouched beaches! Click here for the best things to do in the Margaret River region in Western Australia. 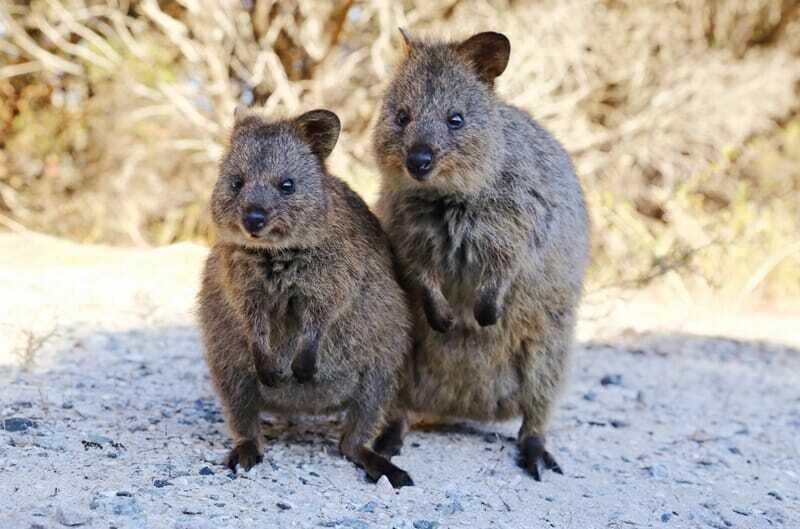 Pinky’s Beach Club is the perfect place to watch the sunset on Rottnest Island, and the club is also frequented by the friendly locals in the evening – quokkas just love nibbling on the freshly mowed grass lawn. 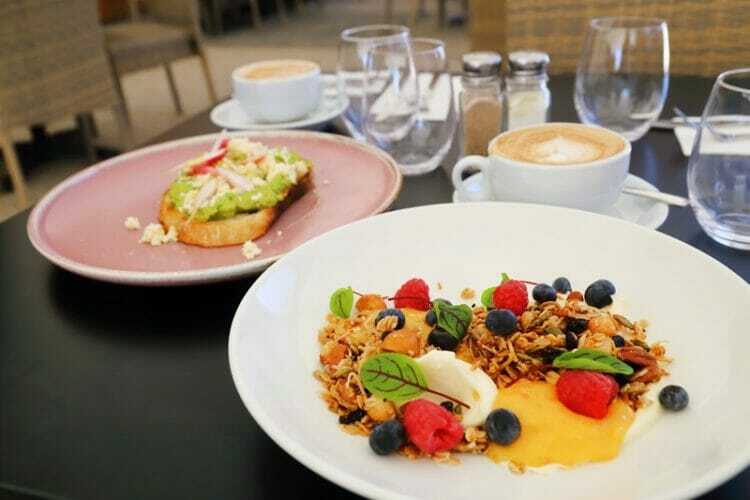 Guests staying at Discovery Rottnest Island can also grab a late breakfast at Pinky’s – breakfast is served until 10:30 AM so that you can enjoy a well-deserved sleep in. Try the delicious granola with curd and berries for a healthy start to the day, and don’t miss out on the classic Australian flat white coffee. 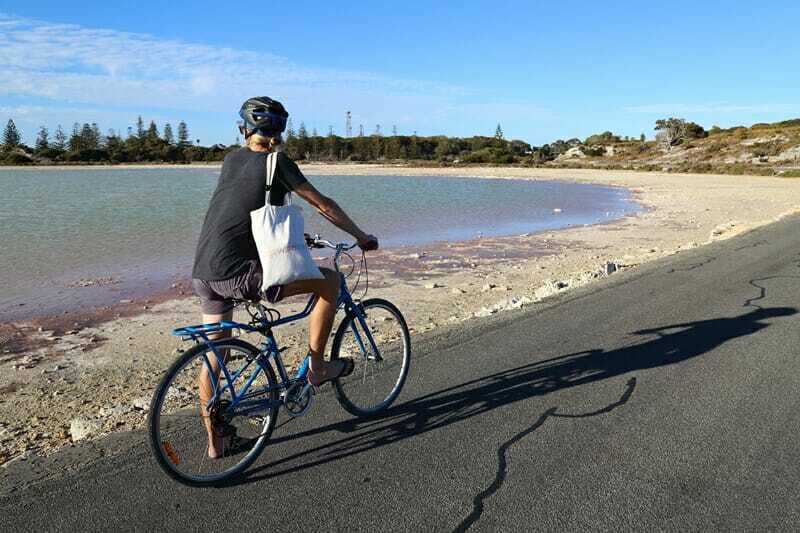 If you want to explore the rest of Rottnest Island, simply rent a bicycle from Rottnest Island bike hire shop on the island: once you hop off the ferry, turn left and follow the signs to Rottnest Island Pedal & Flipper. The ride from Discovery Rottnest Island to The Basin will take less than 30 seconds (seriously), and you can get to the shops and bakery in just a few minutes’ time. First of all, you’ll have to get yourself to Rottnest Island from Perth! Ferries from Perth to Rottnest Island operate 6 to 7 times every day in the off-peak season and 10-12 times a day in the peak season from December to February. 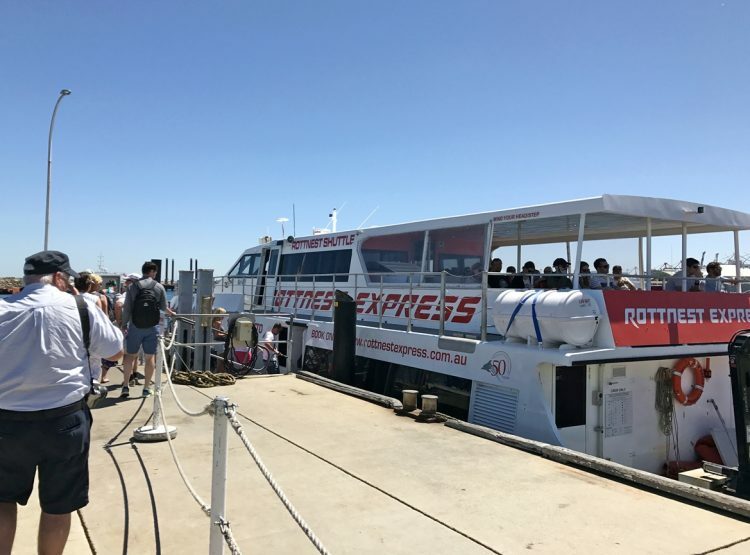 There are 3 ferry operators that operate Rottnest Island ferries: Rottnest Express, Sealink and Rottnest Fast Ferries, and ferries depart from several different locations around Perth. 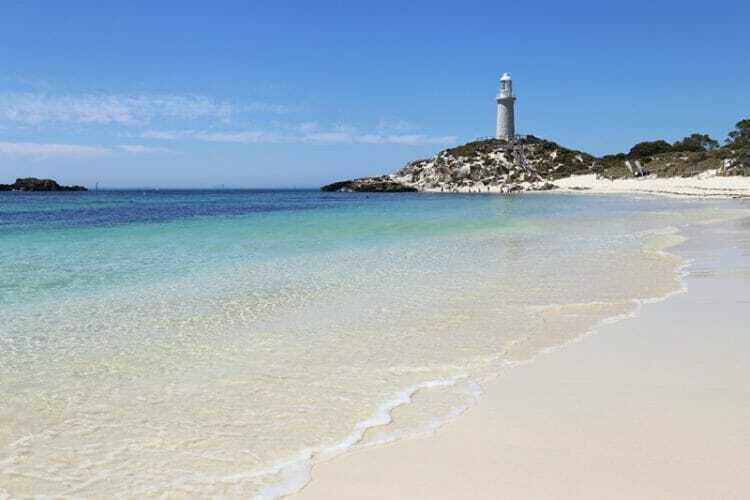 You can book an extended stay return ticket between Perth and Rottnest Island if you want to stay overnight on Rottnest Island. Remember, space is limited on the ferries during the peak season from December to February so make sure you pre-book your non-same day return Rottnest Island ferry ticket in advance! If you are bringing luggage it will cost $3 per bag – you will need to make sure there is space in the luggage hold and that you tag your luggage properly so that it is sent directly to Discovery Rottnest Island. Once you have arrived on Rottnest Island, the property is an easy 1 kilometre walk from the pier, or you can rent a bicycle and ride over in a jiffy. Those requiring a transfer due to mobility issues can get in touch with Discovery Rottnest Island so that they can arrange the necessary transportation. 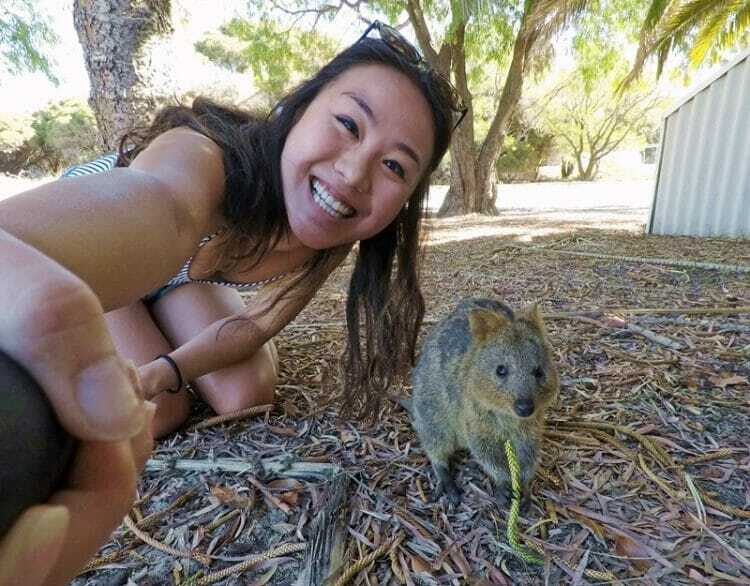 You absolutely must see THE QUOKKAS! 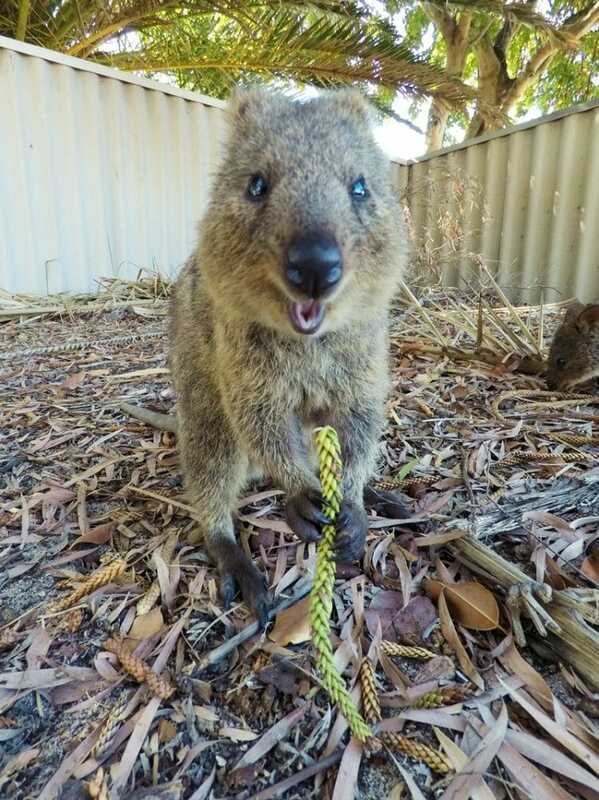 These friendly marsupials are incredibly adorable and always look like they are smiling. They roam around the island freely and can often be found hiding out in the shade or eating berries off the ground. 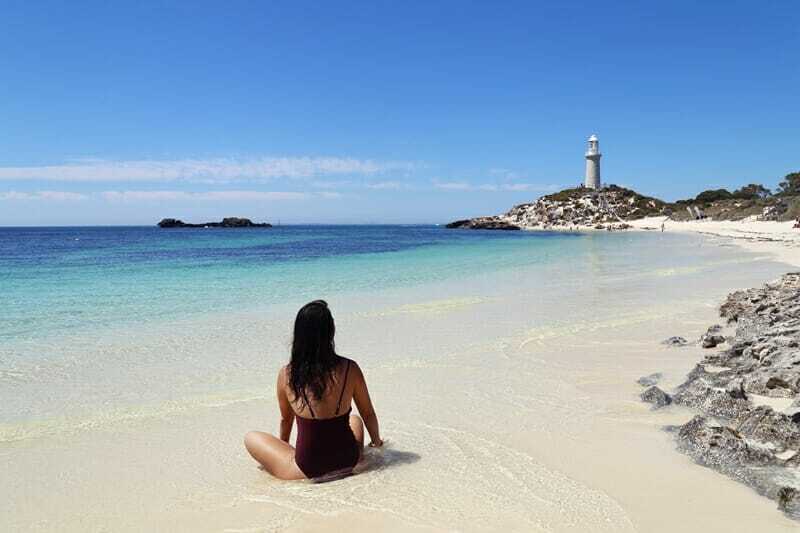 Make the most of the breathtaking beaches on Rottnest Island and go beach hopping: don’t skip The Basin, a swimming spot with crystal clear waters, the quiet and pristine Pinky’s Beach, and the smaller and secluded Little Parakeet Bay. Explore the island’s lakes and cycling trails by bicycle, and head south to see Little Salmon Bay or Henrietta Rocks. 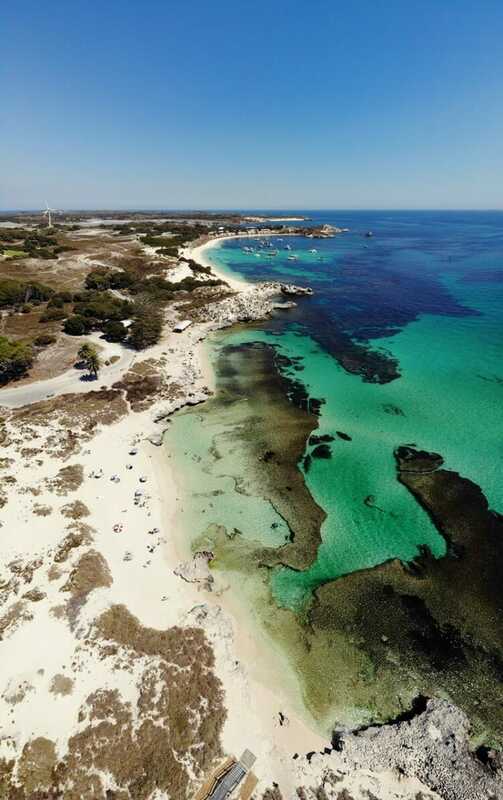 If you have more than 1 night on Rottnest Island, you might also want to splurge and hop on an air taxi for a view of Rottnest from above, or even go on a boat trip or kayak around Rottnest Island for some adventure. 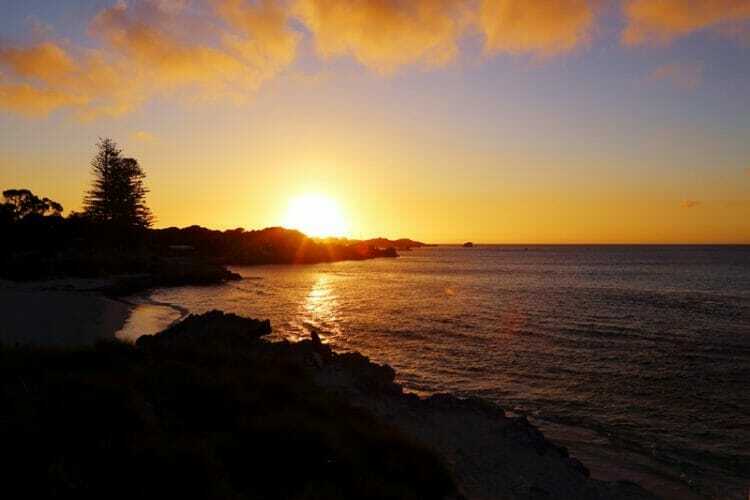 For more ideas of things to do on Rottnest Island click here! Australia is in the southern hemisphere which means that its summer season (i.e. high season) runs from approximately November to February. It does get very cold during winter and autumn, so the beaches are not going to be fantastic during those months. I recommend heading to Rottnest Island on a weekday between November to February, but the weather is also pleasant on either end of the peak season in October or March/April. Rottnest Island accommodation options are not exactly plentiful, so you should plan ahead if you want to stay overnight. 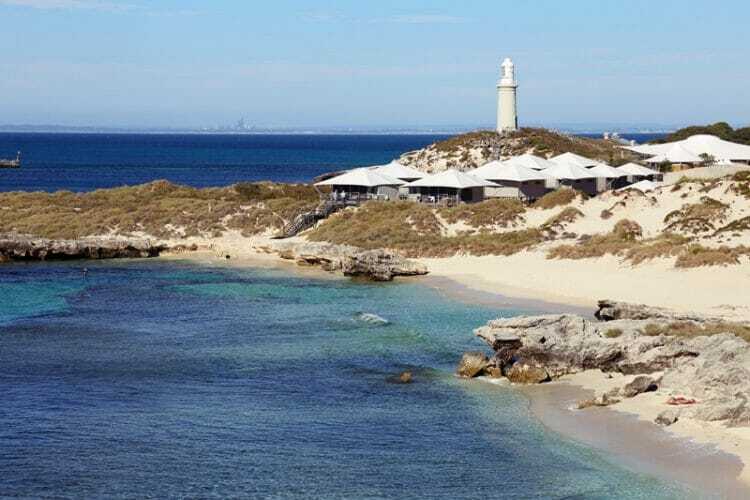 Discovery Rottnest Island is the best place to stay on Rottnest Island and does occasionally have 2 to 5-night stay requirements during the peak season, so make sure you book your luxury tent in advance. The property’s check in time is 2 PM, and the check out time is 10 AM. There is free wi-fi at Discovery Rottnest Island, and it was very stable and speedy during our stay. 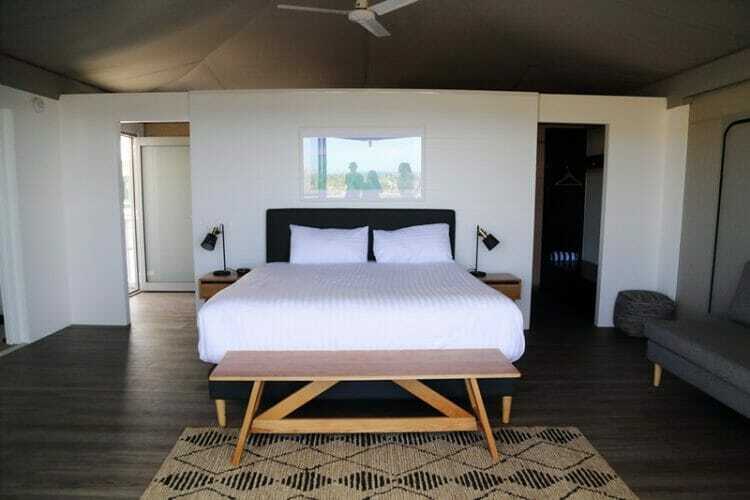 standard eco-tent to AUD$592 per night for a deluxe tent in the high season. Light sleeper? Bring ear plugs or ask front desk for some. Bring sun screen, warm clothes and your own water bottle. Looking for the perfect beach escape and ultimate glamping experience in Western Australia? 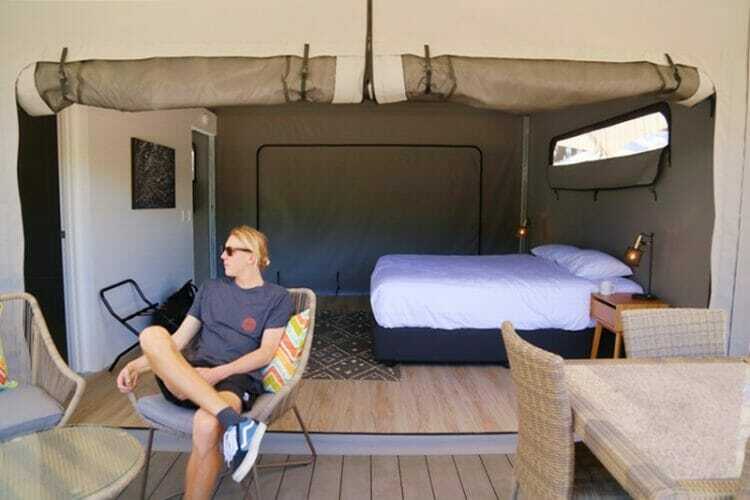 Discovery Rottnest Island offers eco-glamping unlike any other, in a location that will blow your mind. Discovery Rottnest Island is extremely popular and is full almost every single weekend so make sure you book at least a few months in advance! 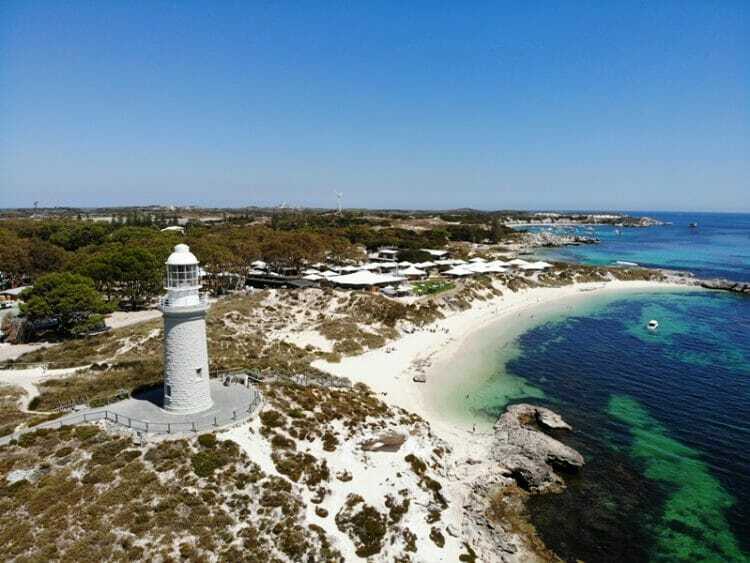 Click here to check current availability and prices at Discovery Rottnest Island, or head on over here to explore other Rottnest Island accommodation options.